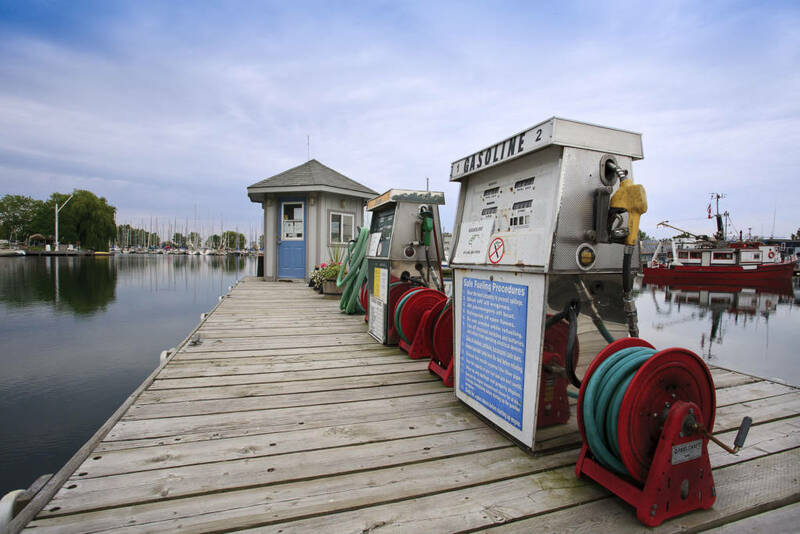 The Bluffers Park Marina fuel dock opens mid April and as the season progresses the hours of operation extend. Our fuel dock offers both mid-grade and diesel fuel, with no alcohol in it, as well as pump-out facilities. We monitor channel 68, or call us at 416-266-4556 for fuel assistance. As of Mid November our gas dock and pump is closed for the winter and will re-open weather pending Mid April. Mon – Sat: 9:00 A.M. – 4:30 P.M.
Mon – Thurs: 8:00 A.M. – 4:30 P.M.
Fri: 8:00 A.M. – 8:00 P.M. Sat & Sun: 8:30 A.M. – 4:30 P.M.